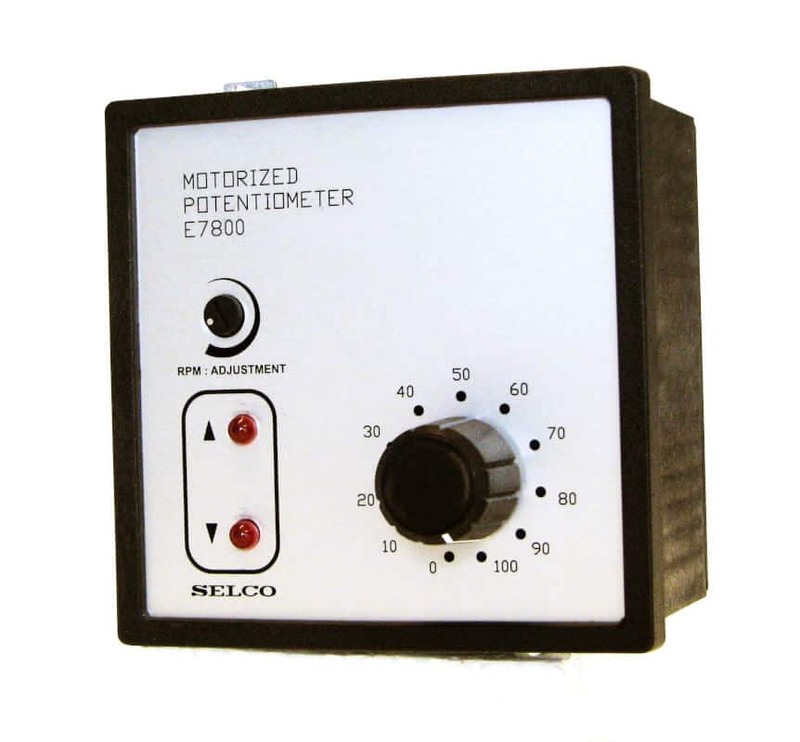 The Motorized Potentiometer E7800 is typically used as an interface between increase/decrease contacts and a device requiring control/adjustments by an external potentiometer. The E7800 Motorised Potentiometer is typically used as an interface between increase/decrease relay contacts (or push buttons) and a device requiring control by an external potentiometer (e.g. the speed trim of an electronic governor). All three wires of the potentiometer are directly accessible on external connection terminals, thus providing the best possible flexibility for almost any application. A special version of the E7800 with DC voltage output is also available. The DC output voltage follows the position of the potentiometer. The design of the E7800 ensures that the potentiometer will “remember” its position although supply is lost.